Billy started with UDC in April of 2018 taking on the duties of accounts payable accountant. Primarily, Billy is in charge of performing accounting and clerical tasks related to the efficient maintenance and processing of accounts payable transitions for all UDC’s entities. Originally from Whitesburg, Billy moved to Johnson City in 2016 to complete his education at ETSU, where he graduated with a Bachelor’s of Accountancy in 2017. 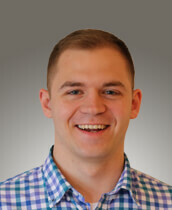 Prior to joining our team, Billy worked in the retail and banking industries in several different capacities. Billy lives in Johnson City, with his fiancé and two dogs and enjoys hiking in his spare time.